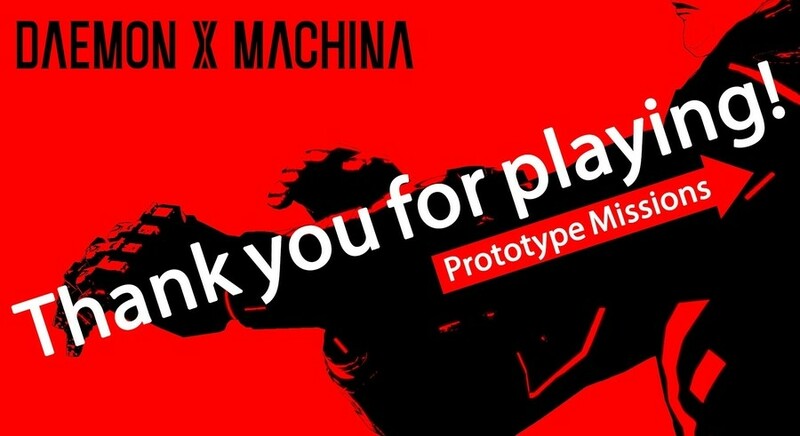 "We're checking all your feedback"
When Nintendo said the Daemon X Machina 'Prototype Missions' demo would only be available for a limited time, it wasn't joking. [Kenichiro Tsukuda, #DaemonXMachina Producer] A big ‘thank you' to those who played the Prototype Missions demo. Please look forward to the release of the full version! Did you try out this demo in the end? What did you think about it? Share your thoughts in the comments below. I didn't play very much of the demo, but it does look promising. I like that they did this. Some games that could be great could try the same thing and let players opinions guide the development. Solid demo, will buy day one. Could use some minimap improvements, maybe make it easier to understand gear comparisons or adjust how "out of bounds" is handled, but I'm really looking forward to this. The demo didn't pull me in. Felt like Pokemon Sun and Moon, where you're just a weapon the real characters point at the bad guys. Not a fan of the silent protagonist when it makes no sense like this. You're there, a rookie pilot, everyone else is talking around you, and you have no voice, no interactions. Also not big on the UI, the menus were a bit difficult to focus on. Finally it felt more like a helicopter sim than a mech game. Seems like most of the game will be spent flying around, which would be fine if that's what the game was. Didn't feel like a mech game at all. All that said, this is the kind of sci-fi world that always draws me - if this were an anime, I'd be super down for it - minus the soulless, silent protagonist of course. I really hope this game gets some sort of delay, or at least serious fine tuning for me to ever even consider picking it up. They need to give the main character a voice in this, heck, imagine if they went for a true Evangelion (or any other mecha anime) feel for this game. IMO, most games with true silent protagonists (Not ones like Link who still express some emotion) tend to fall flat on their face in making the player feel fully imersed in the world and relationships between their character and the supporting cast. I have so many other thoughts on this game, some of which I have already touched upon in the past. But, the demo literally felt like a tech demo, as if they were just showing the concept of what they were planning on making, rather than it being the final product. Good luck Marvelous Entertainment, I hope you guys pull this one off. Really hope that they can pull this off. The game definitely has potential with its awesome art style and epic mech designs, but the whole thing just feels so rough around the edges. Its wful performance, difficult UI, and weak combat all left a bad taste in my mouth. I'm still hopeful for the game since it's nothing they can't fix before release, but man do they have their work cut out for them. Oh, oops, I totally forgot about that demo. That’s annoying, I was interested as well. I enjoyed the demo and will almost certainly be grabbing the game at launch. My main complaint is how much worse the game looks in handheld than it does docked. Yeah I played the prototype missions. I really enjoyed it and was having fun playing the demo. I found it hard to get going in the demo. It certainly didn't feel at all intuitive for a newbie to the series like myself. Hopefully they'll improve it. The demo somewhat lessened the hype for me. But it's good they're taking the players experiences into consideration. I was underwhelmed but then again it was an unfinished product. There are some balancing and major performance issues that need to be addressed, but, overall, I think there's a real chance for this game to turn out fantastic. I liked it, it was fun. Unlike many others I had zero performance issues in the entire time I spent in the demo. I don’t mind the silent protagonist and I love messing with builds and gear, I just hope there’s some story here. Either way, I’m buying. Demo was great. I was intrigued already, but I'm 100% sold now. I loved the demo. I hope they fix the few issues I didn't like. i had little idea what i was doing but i still beat it. anyone try the melee weapon? didn't feel good to me. liked the demo, but It is some need of some serious work. was super surprised at how much there was to do in terms of pick ups and customisation. i'm in, day one for me assuming the reviews are OK.
@pappabear03187 Same here pretty unique game with some really cool art and design, but the hub world felt lifeless and needs a bit more work, the graphics although reasonable for a Switch were still a little weaker than I expected; I thought it looked better on TV than portable. Also on that note the graphics in this game look similar to games like Super Mario Odyssey, namely the textures. I really think now, Nintendo made these new games with full knowledge of the Unreal engine 4. Normally, a demo should sell a product but this demo just did the opposite for me: bad controls, bad UI and map design, and most importantly I missed some guidance what the game wants me to do. The missions felt so uninspired that I immediately deleted the demo. This game’s demo was so frustrating to me. I was looking forward to it, but it’s not intuitive or in fact, all that interesting to me at this point in time. Now, granted, I’ve never played a mech game before, but this just looked and felt like an extremely cumbersome experience. I felt like i couldn’t rly aim, just fire in a general direction and hope you hit em. Was expecting Some gyro aim tbh, this felt a bit cluncky to me, or do mech games always play like this? i love when devs do this, ask for players' opinions and then adjust their games during developement. Only due to this procedure Final Fantasy XV was not a complete failure. The movement was way too slow, which really made it feel a lot clunkier than I wanted it to. I also felt like you should be able to fly a lot higher/longer. So, FF XV was initially intended to be worse? I thought the final product was weak, not alone the story which was horrible. i thought the demo stank. what a disappointment. this had been my most looked forward to game. I thought the Demo was great and I love that they collected the data to make it better. Overall I thought it was really satisfying and I can't wait for the release. No complaints from this guy. It still feels a bit green, but it certainly looks promising! 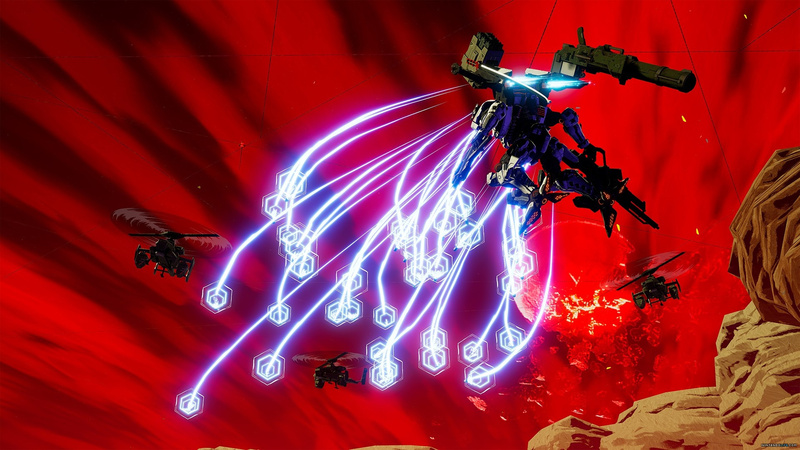 DaemonXmachina should be released by early 2020. It needs to be polished, as it has so much potential. I have an odd feeling this game is gonna bomb. Couldn't bring myself to finish it. I wonder if these prototype missions will be in the main game. I agree with a lot of people here about the issue is the silent protagonist. Like Xenoblade Chronicles X i think it takes away from the story instead of adding to it. The entire demo felt stale because there are just a bunch of mildly interesting characters talking around you. Aside from that everything felt pretty good but unfinished. The handling was good, but transition from air to ground could be better (though i found if you flew straight towards the ground instead of descending with the button you transitioned more quickly. Also, maybe this is something that is supposed to get smoother as you upgrade your mech?) The art direction was good to look at at first but quickly felt like there was a lack of variety in the atmosphere. The base seemed nice but it felt like you should actually be able to have conversations with people. Etc. Basically, I hope they delay the game and really add some good story elements, give the protagonist a voice, and some design variety. I think if they do this they could make it an incredible franchise like Xenoblade has become. But again, like Xenoblade 1, they'll have to delay it to make it good. The demo didn't do much for me. I was aimlessly searching for foes. The game had weak graphics. I couldn't beat the boss because I was out of ammo, and then the boss-fight suddenly ended. Though I admit I didn't read any tutorials. I wait for the reviews but its probably not for me.